The original Bonika Fishbone shear is designed specifically for texturing, especially slithering and fringing around the face. It's similar to using a razor expect not as aggressive. The result is a softer texture and varies with each side of the blade. When the shear is closed, the razorback spine on the blade exposes the cutting edge of the blade for slithering and fringing. 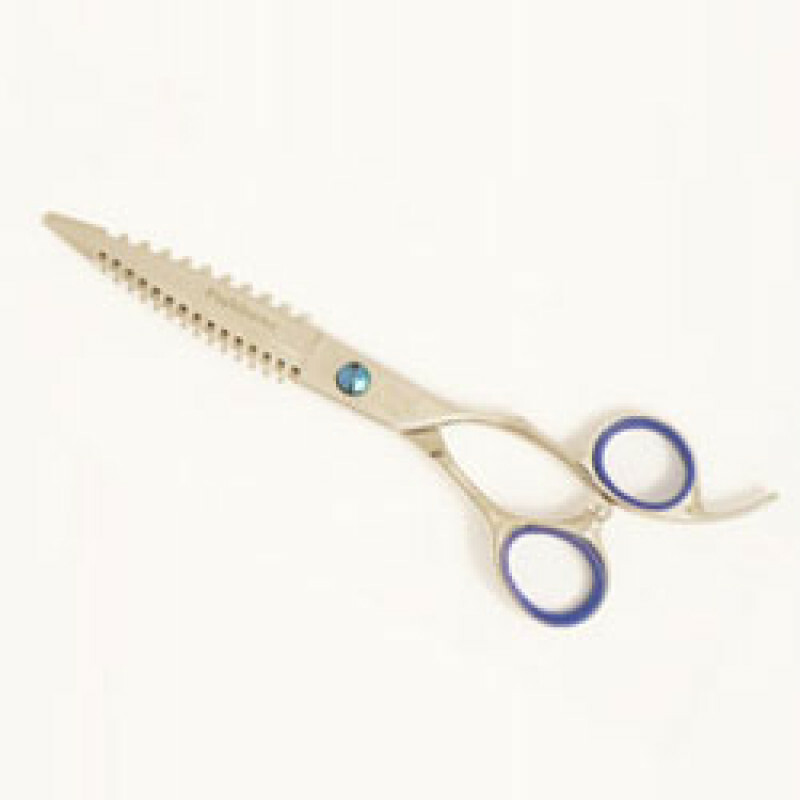 When open, the Fishbone texturing shear has gently curving blades which allows for more movement when slicing and point cutting.